"Our customers always come first." "The efforts of our team will lead to profitable growth." "Our greatest asset is our people and the skills and dedication that they bring to their work." "Success in world markets will secure our future." "Understanding Customer requirements and providing customised solutions will create success for our business. 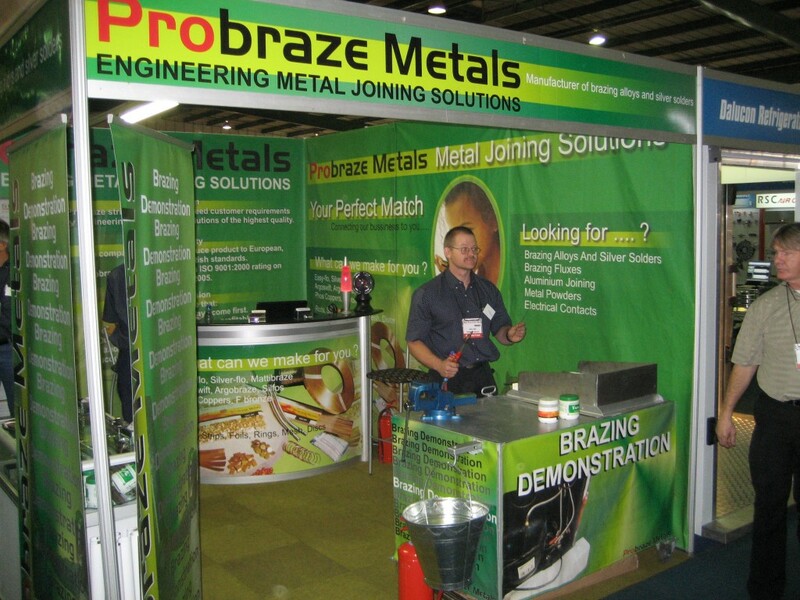 Probraze Metals (Pty) Limited is proudly South African and the leading manufacturer of brazing alloys in Africa. The company manufactures silver solders, specialised brazing alloys and associated fluxes for the engineering, aeronautical, automotive and mining industries. The company also houses a division that manufactures solid and bi-metal headed contacts. Its expertise further extends to providing more specialised solutions, e.g., a weaved silver gauze which is used as a catalyst in process of acetic acid/ formaldehyde production. Johnson Matthey (South Africa) closed its Metal Joining Division in 2001 thereby making redundant the knowledge base, skills and technical expertise that accumulated with a business that started in the 1950’s. Probraze Metals bought the plant and equipment, product formulations and trade marks and employed core staff. Trading commenced on 1 November 2001. The company is able to produce product to European, American and British standards. 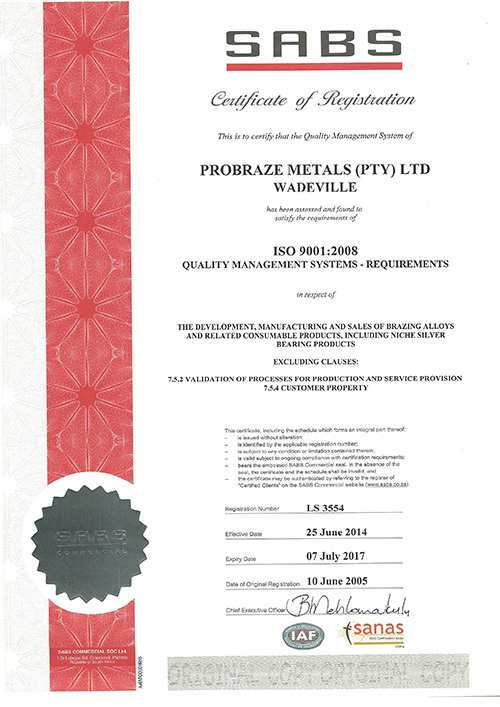 Probraze Metals received its ISO 9001:2000 rating on 1 July 2005. We have an in-house laboratory and are able to supply Certificates of Analysis to guarantee product conformity and tolerances. Probraze strives to meet or exceed customer requirements by engineering metal joining solutions of the highest quality.